Thank you to Hereford supporter Nicky Evans for providing me with a number of scrapbooks featuring press cuttings from the now defunct Hereford Journal. Back in the Summer of 1997. 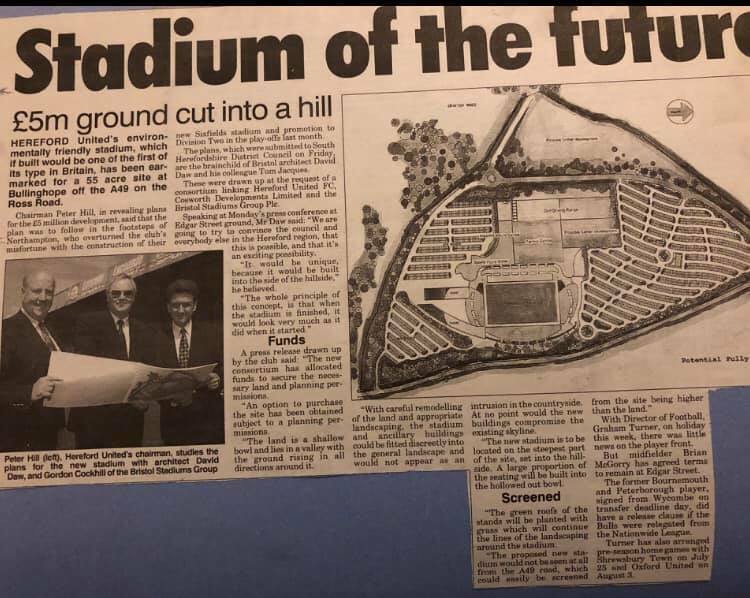 Hereford United had plans for a new stadium near Grafton.